A previous article in this column examined the differences between New Zealand First voters and the voters of both National and Labour. It turns out that New Zealand First is almost equidistant from the two major parties if measured demographically. This article, however, looks more closely at who voted for New Zealand First in particular. Despite being considerably whiter than it was in 2014, New Zealand First is not a particularly white party. In 2014 there was a correlation of 0.00 between voting New Zealand First and being a Kiwi of European descent. By 2017 this had climbed to 0.21, which was still not significant. The strongest correlation between being of a particular ethnicity and voting New Zealand First was with being Maori, which was 0.38. The correlations between voting New Zealand First in 2017 and being a Pacific Islander (-0.21) or being Asian (-0.52) were much more negative. 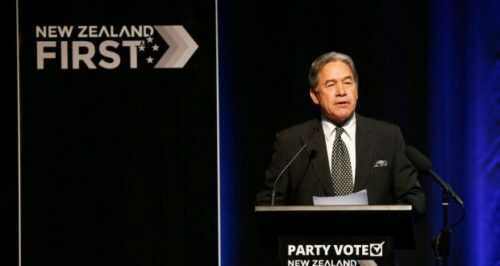 Tellingly, for a nationalist party, their strongest support was from Maoris, who have the strongest roots in the country as essentially none of them are immigrants. Their next strongest level of support was from Kiwis of European descent, who have the second-deepest roots in the country, and their weakest level of support was from Asians, who have the shallowest. As in 2014, New Zealand First voters in 2017 were some of the least educated out of any voting bloc. The correlation between having no NZQA qualifications and voting New Zealand First in 2017 was 0.67, and the correlation between having a doctorate and voting New Zealand First in 2017 was -0.60. This tells us that New Zealand First voters are decidedly working-class. True to stereotype, there was a strong positive correlation of 0.58 between voting New Zealand First in 2017 and being on the pension, but there was also a strong positive correlation of 0.47 between voting New Zealand First in 2017 and being on the invalid’s benefit. All of this suggests that the easy story of New Zealand First being an old racist’s party is somewhat misguided – it’s true that they do get many votes from poorly educated old white people, but that’s more because New Zealand First gets a lot of votes from hard-done-by people in general and poorly educated old people tend to be limited to their pension and therefore hard-done-by. Gareth Morgan’s personal antipathy towards Winston Peters was reflected in the correlation of -0.31 between voting The Opportunities Party in 2017 and voting New Zealand First in 2017. This put TOP in a band with United Future (-0.27), ACT (-0.34) and the Greens (-0.48) as parties whose voters did not correlate highly in a general demographic sense with the voters of New Zealand First. All four of those parties are particularly Pakeha-heavy parties, and ACT, the Greens and TOP appealed heavily both to young and educated people. So there is plenty of reason for these reasonably strong negative correlations. There were positive correlations between voting New Zealand First in 2017 and voting for any of the Maori-heavy parties in 2017. These were Maori Party (0.11), MANA (0.24) and Aotearoa Legalise Cannabis Party (0.40). Many will be surprised that there is a moderately strong positive correlation between voting New Zealand First in 2017 and voting Conservative Party in 2017 – this was 0.38. The reason for this is that both parties appeal to the large faction of poorly-educated old white voters mentioned above. Despite the shared appeal to old white people, however, the correlation between voting National in 2017 and voting New Zealand First in 2017 was only 0.04, far from being significant. The reason for this is the class difference – the National Party appeals to people who are doing well economically (and most of these people are old), whereas New Zealand First appeals to people at the bottom of the ladder (and poor old people with no realistic way of becoming wealthier are definitely near the bottom).